Moving on through the rankings of shows I watched regularly in 2012 – this intro will explain what qualifies one for the list – 12, 11, and 10 follow. Much to my shock but not dismay (what’s the exact opposite of dismay?) it seems like Workaholics is catching on for real, moving into its fourth season, which is incredibly impressive for a scripted Comedy Central show not called South Park. Making it past a dreaded Comedy Central first season is already an achievement in and of itself, but four is a true rarity. Unlike Bob’s Burgers, I’ve been along for the entire ride this time, though it’s as much luck that I have been watching since the beginning as anything else; one humorous commercial convinced my friend and I to watch, and we were as surprised as anyone that it was actually pretty good. The show picked up from there, and it’s the type of show where repeated interactions with the characters improves your appreciation as you get into the chemistry between their three personalities. When Adam does something that’s so Adam, it’s funnier the more episodes you’ve seen. Adam is clearly the star of the show and provides many of the funniest scenes, but Blake and Anders are hardly just along for the ride. Perhaps the best episode of the most recent season involved a contrived plot in which the three characters had to stay drunk for the entire episode, to prevent becoming hungover. Played like Speed, but less like a parody than a loose plot to work around, the episode was hilarious throughout and contains a combination of physical comedy, pop culture references, silliness, and absurdism. I’ve said it before, but Raylan Givens, the main character in Justified, is the role Timothy Olyphant was born to play. It’s his vehicle, and everyone else is somewhat secondary, but that doesn’t mean they don’t have chances to shine. Still, he’s a strong enough character to carry the show largely on his own. 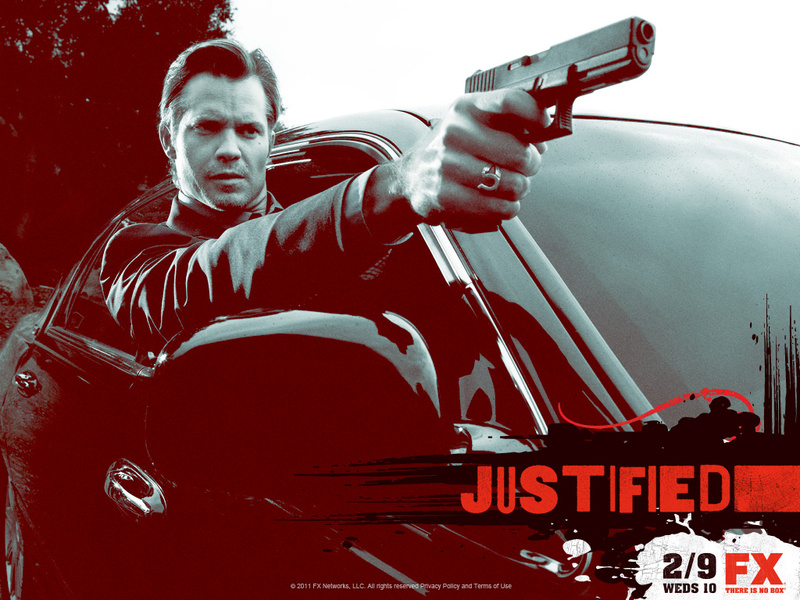 Justified is what a USA show could be if it didn’t have the shackles imposed on it simply by being a USA show. Justified is limited in scope; it could never be The Wire or The Sopranos, in terms of the sheer breadth, but it does what it does very well and there’s something to be said for knowing what you’re good at and sticking to your strengths. The third season came off of the second season high with a weaker overall serial plot, particularly the primary antagonist, Robert Quarles, who was terrifying but less interesting than Mags Bennett and her largely incompetent clan. Still it may actually say more about the resilience of the show that it was able to chug right along with an overall weaker villain and feature a season that was damn near almost as good. The show has struggled at times to find a role for Walten Goggins, who plays sometimes villain, sometimes anti-hero Boyd Fowler, especially when he’s not working with or against Raylan, and while I’ve sometimes thought they should just not feel inclined to include Goggins in every episode, they’ve done a fairly good job of keeping his plots interesting and relevant considering. I like the secondary characters that work with Givens at the Marshals Office, and I like that they don’t shy away from pointing out Givens’ ridiculous behavior. I expected solid but not spectacular from Justified, and while the show may not reach the breathtaking heights of Mad Man, Breaking Bad, or Game of Thrones, it certainly exceeded my initial expectations. 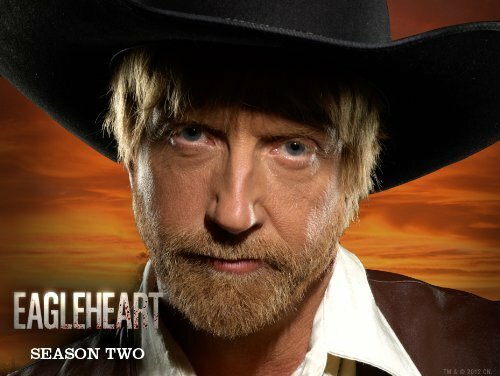 All three of the Adult Swim 11 minute shows on this list are absurd live action shows of a type found nowhere else on TV, but none are as truly absurdist as the least known and talked about, Eagleheart, which stars Chris Elliot as a Marshal, along with his sidekicks, Maria Thayer and Brett Gelman. Episodes sometimes change plots twice an episode, invent things as they go along, and, in one episode, the entire plot turns out to have been an amusement park ride. It’s ridiculous, and how ridiculous it is makes it wonderful; there is no non-aminated show more out there on television. The best episode of the season may have been the opener in which it’s postulated that the chief, played by Mad Men’s Michael Gladis, inspired Chris Elliot’s character to become a US Marshal by impregnating his wife, and then having his son, which he made seem like Chris’s son, hiring the son to fake his death 10 years later, which caused Chris to become a marshal. The son also pretended to be various important characters in Chris’ deputies’ lives, then faked dying, to persuade them to become marshals (Thayer’s old college boyfriend, and Gelman’s favorite restaurant waiter). Later in the same 11 minute episode, it’s revealed that there’s a baker who makes a cake to celebrate every bloodbath caused by Chris, but all the cakes have already been made, thus predicting the future bloodbaths. If this sounds convoluted and insane, that’s because it is, but it’s a lot funnier when watched than when explained, and if you actually expect it to make any sense, you’re watching the wrong show. I would guess this is by far the least watched show on this list (though it may have competition with one of the next few) and I don’t know why more people haven’t found out about it, but if anyone likes absurdism, this is the place to go, and it takes just a couple of hours to watch all the 11 minute episodes of the entire series.